Taking the metro when travelling in cities is often the easiest and most cost effective way to get around. Unlike taxis there is no haggling or fear of being ripped off and trains are much easier to figure out than buses where it can be difficult to know where to get off at the right stop. But it’s probably safe to say that most metros should be avoided during rush hour. 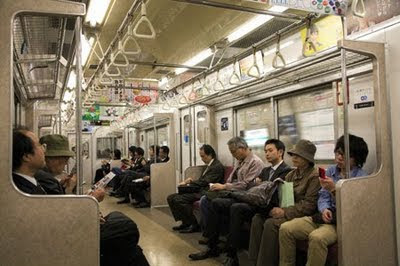 If you ride Tokyo’ s metro early enough on a Saturday morning you’ll see hung over businessmen still in their suits who didn’t quite make it home after a good night out. Many are chugging soft drinks purchased from Tokyo’s ubiquitous vending machines. 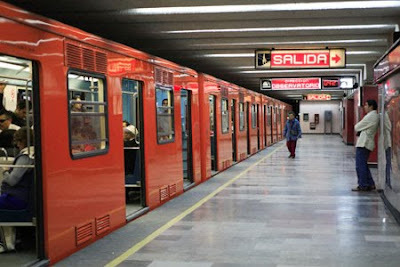 Mexico City’s metro is one of the cheapest and cleanest in the world and a subterranean market of sorts. 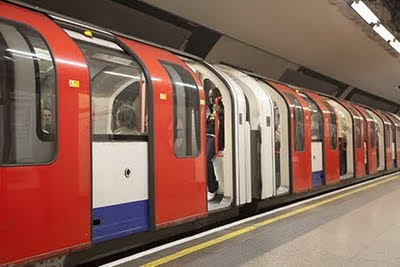 London’s aptly named tube is amongst the most expensive public transportation in the world. It was the world’s first underground metro. 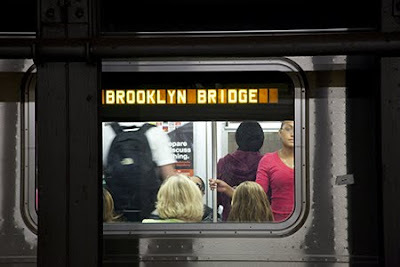 New York City’s subway system will take you from the Bronx to Brooklyn for a few bucks. Despite rising fares it’s still the best deal in town. I love the comment about the Tokyo subway. And I didn't know Mexico City's is one of the cleanest in the world! London's tube kinda sucked for me. We stayed near Kensington Station once, and it got flooded with what seemed like sewer water. So they had to temporarily close the circle line. Mumbai - The new joining very soon. Delhi's metro is worth a mention as also Calcutta's which is India's oldest metro.. I've clocked many hours on London'd underground. Hobo, I did not know Mumbai was building one. Thepersonwithin, I've seen the metro in Delhi but have not ridden it yet. I agree with thepersonwithin. Delhi Metro is worth mention. You can see & read about it here. I just got from a leisure walk in 10 deg C on the Brooklyn Bridge earlier this evening, and that included taking New York's subway up to Lexington to return. Nisha, I enjoy reading Cuckoos blog. Indicaspecies, Thank you. I have also clocked many hours on the Lex line. Berlin has some of the most interesting trains, in my opinion. Taxi-cab yellow with white decals of the Brandenburg gate affixed to the windows. And it's interesting to travel from former "West" to "East," seeing the contrasting architecture of the stations that used to be blocked from one another.